We commenced on 13 August with onsite placements for nine people. 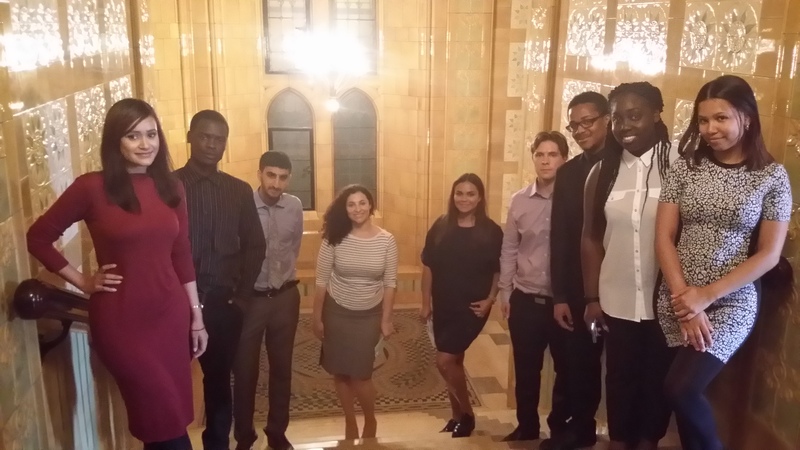 Joshua joined Mitie Total Document Management, Mehmet joined Mitie in the print design department, Marta joined Pertemps, Stephanie and Marli joined Property Research Co – a new employer to Growing Talent – Shay joined Portico at Canary Wharf and Leah joined them at Chiswick Park, James & Chelsea joined Wilson James – another new employer! After a fun week on the orientation, they guys were largely split up across the employers and won’t see each other again until the holistic week commencing 17 August. First week saw the first casualty – Stephanie didn’t work out but luckily secured a summer job as a Royal Palace assistant. All the others are progressing well! Just planned out their holistic week where we will cover the global Mental Health First Aid course, personal finance, nutrition on a budget, keeping fit without the gym as well as an art class and declutter your life – declutter your mind! Should be an interesting, full on week. It’s amazing how the guys support eachother despite different backgrounds/situations they are in. Check out more about their progress at http://www.growing-talent.co.uk. Previous 100% Success for all Starters! Next Yay………. Growing Talent is shortlisted!!!! !